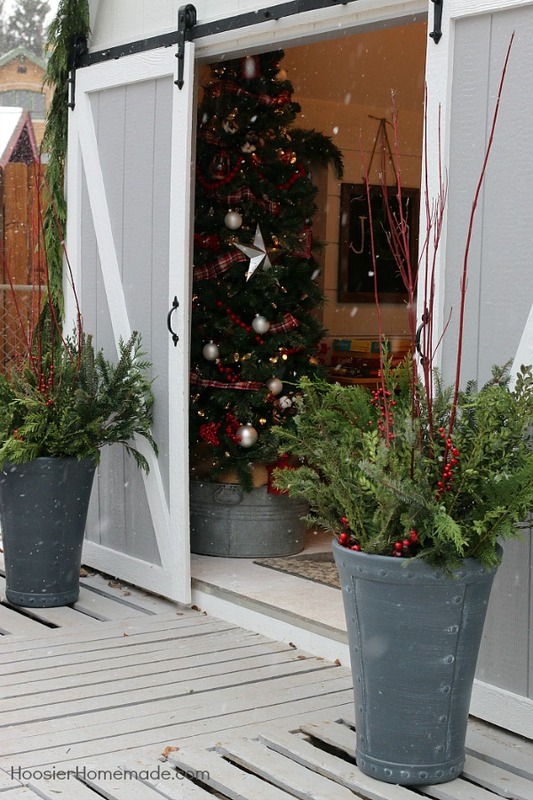 We have ventured outside to decorate the She Shed with our Farmhouse Christmas Decorating. They are simple yet filled with excitement for the season. 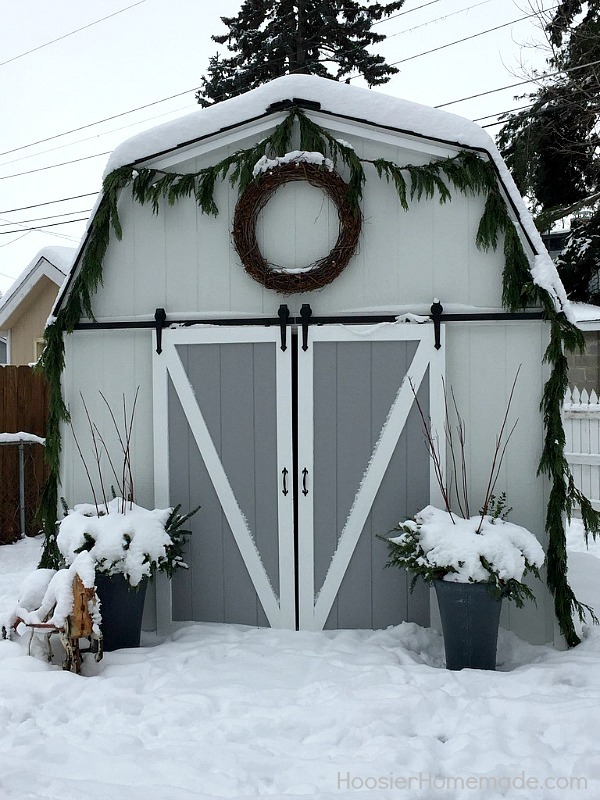 While we were building the She Shed, I dreamed of decorating it for all the seasons, especially Christmas. 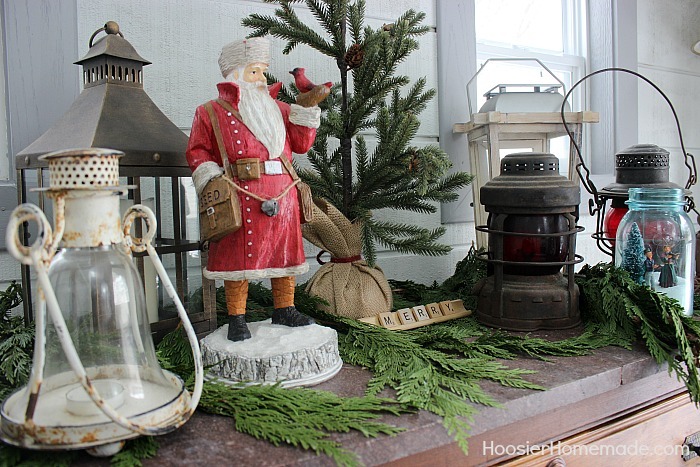 The Farmhouse style Christmas decorations are my favorite treasurers. 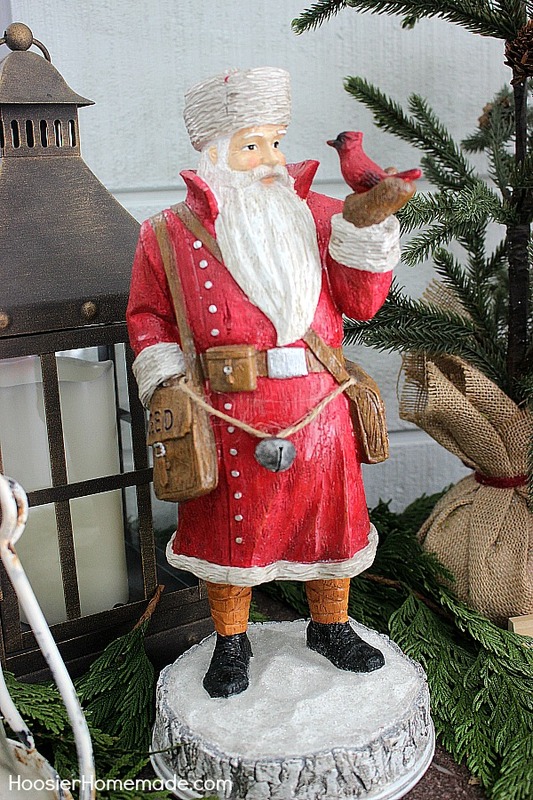 The rustic Santa’s, twinkle lights, old toys, lanterns, and more. We kept the outside simple. 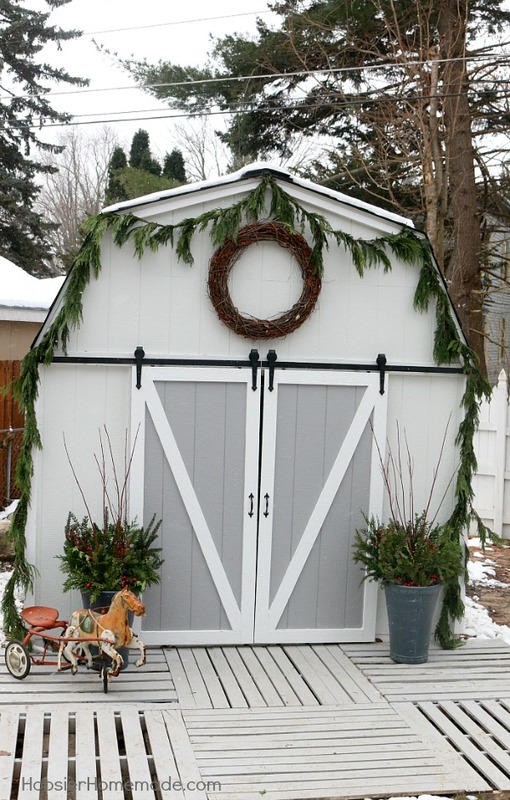 The rope garland is from The Home Depot, I love how it lays gracefully across the shed. The planters are the same that we used during Fall. 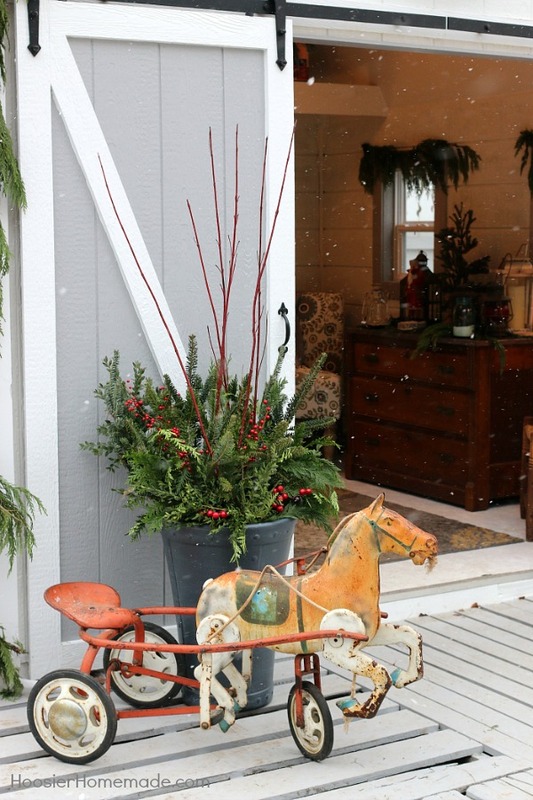 (more on those in a minute) And the antique horse is one of my favorites! For the inside decorations, we stayed with mostly red and white. The tree is filled with plaid ribbon, red beads, galvanized stars, red berries, white ball ornaments and a few red lanterns (I need to look for more for next year). 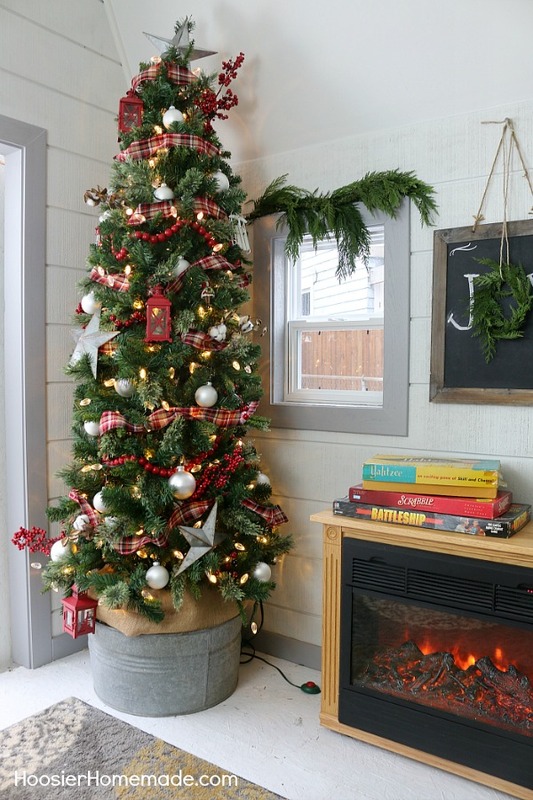 We used a galvanized tub to put the tree in and filled it with burlap. 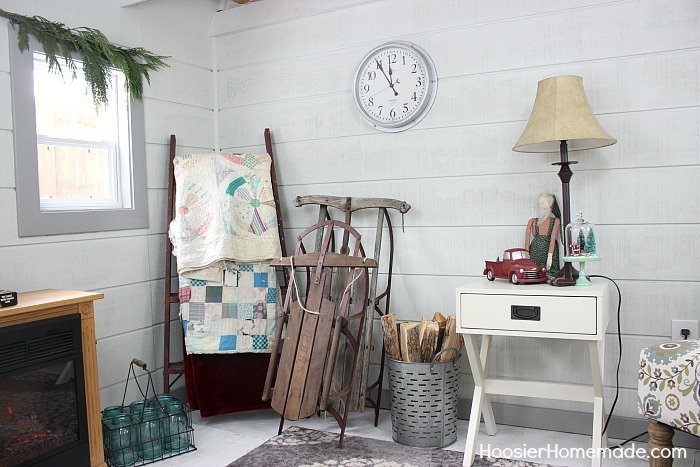 Moving around the room – we hung fresh garland on each of the windows, old sleds, quilts and an olive bucket filled with wood. 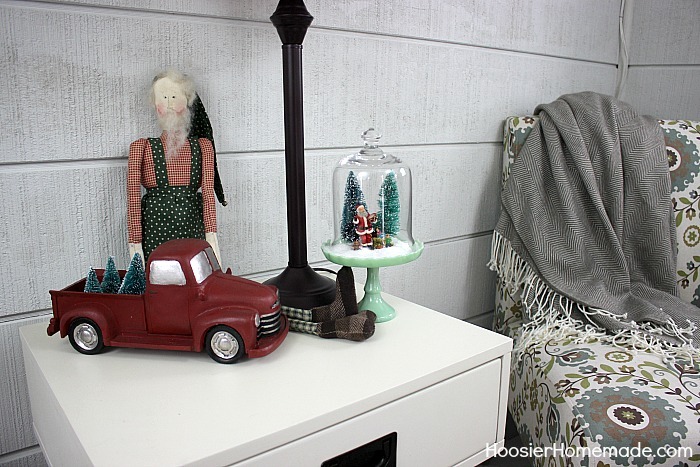 On the side table, one of my old Santas that a friend made for me years and years ago, a cool red truck I found at Home Goods, and a small cupcake stand. The cupcake stand is filled with a couple bottle brush trees, and a figure of Santa. Epsom Salt is used for the snow. The stand is from the Pioneer Woman line at Walmart. 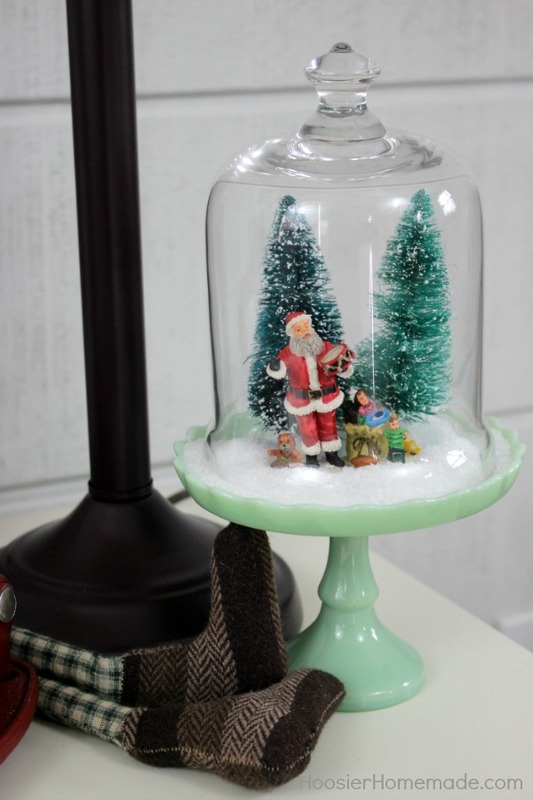 I love the antique green vintage glass that it’s made of. 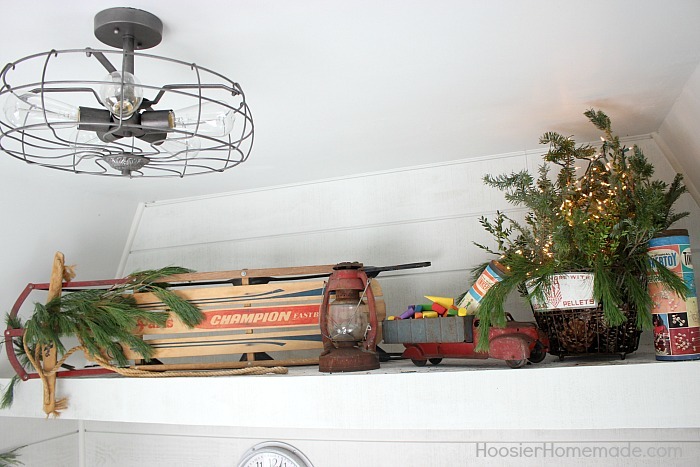 The shelf above, holds another old wooden sled, an antique lantern and truck filled with wooden blocks. 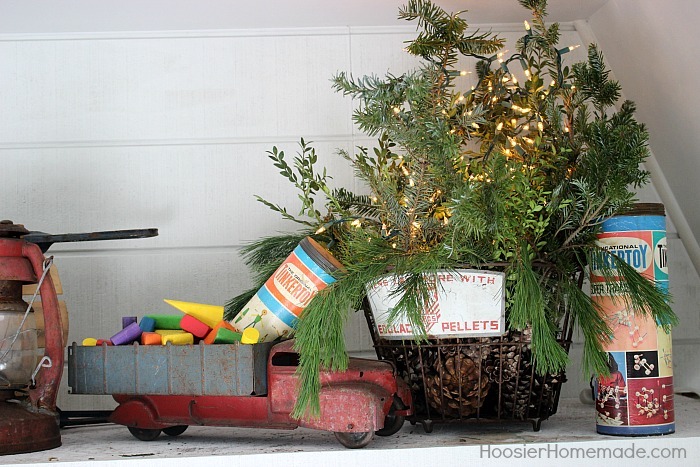 And a wire basket filled with pine cones, greenery and lights. I think the decorations on the chest are my favorite. When we originally decorated in the She Shed, we had a tall shelf, but I felt like it was just too big and tall, so we brought an old dresser out of the house that my father-in-law had given us years ago. I think it fits the spot perfectly. And now I have a place to store games, cards, plates, and silverware for the summer months when we enjoy the shed more. 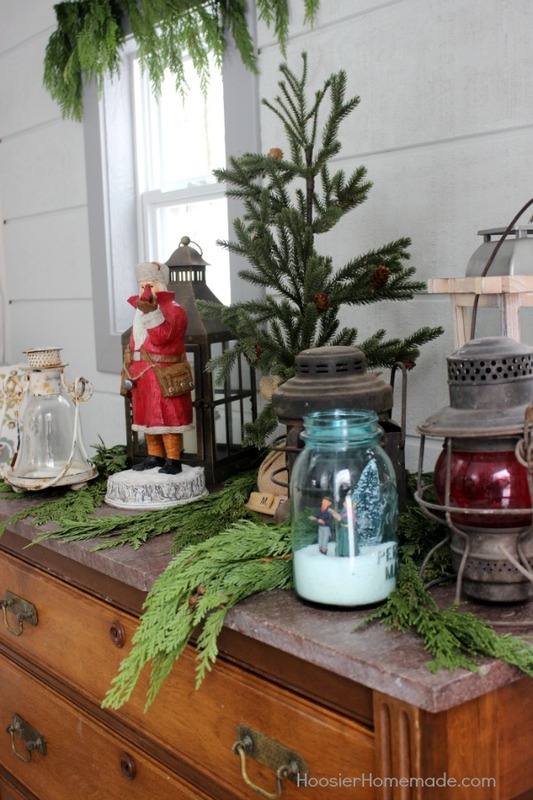 The base has fresh greens simply laid on top of the chest, then the lanterns, small tree, Santa and aqua blue mason jar. 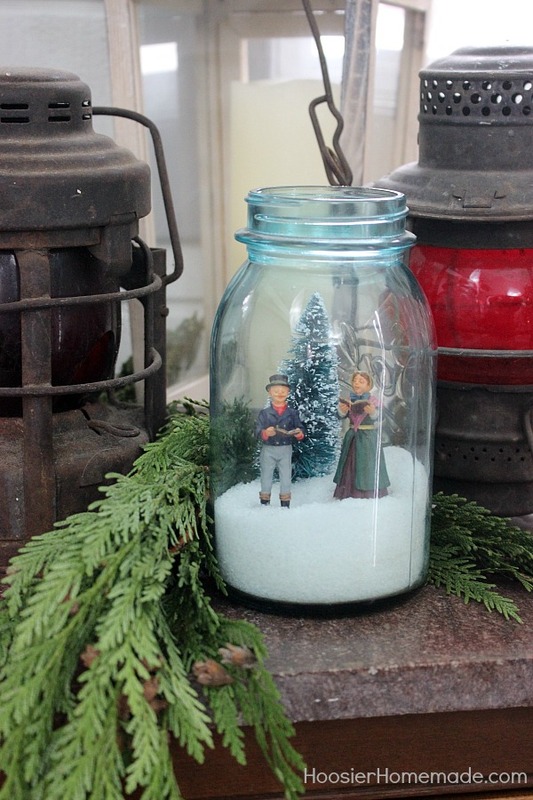 The aqua mason jar is filled with Epsom Salt and then a bottle brush tree and carolers. Coming back outside now, let’s chat about the pots. They are filled with fresh green, red twig dogwood branches (from Home Depot) and red berries (artificial from Hobby Lobby). I can’t take credit for these though, my gardener husband put them together. You can see the snowflakes in the outdoor photos, so I thought I would show you the after photo. Enjoy your Christmas my friends! 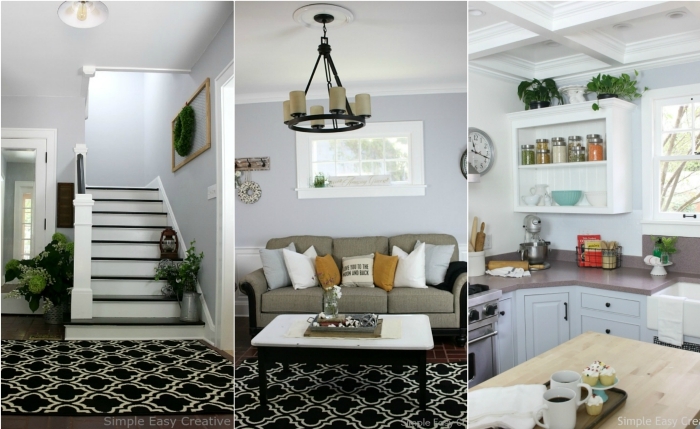 Be inspired by more Christmas Decorating ideas! How adorable! I’ve been following the SheShed since you built it and I love seeing how it changes and evolves through the years. I’m thrilled you like it Amy! It’s definitely a favorite spot of mine! Thanks for stopping by!